Today, we’re chatting with Lai Legaspi, a passionate coffee-lover and incredible lettering artist. 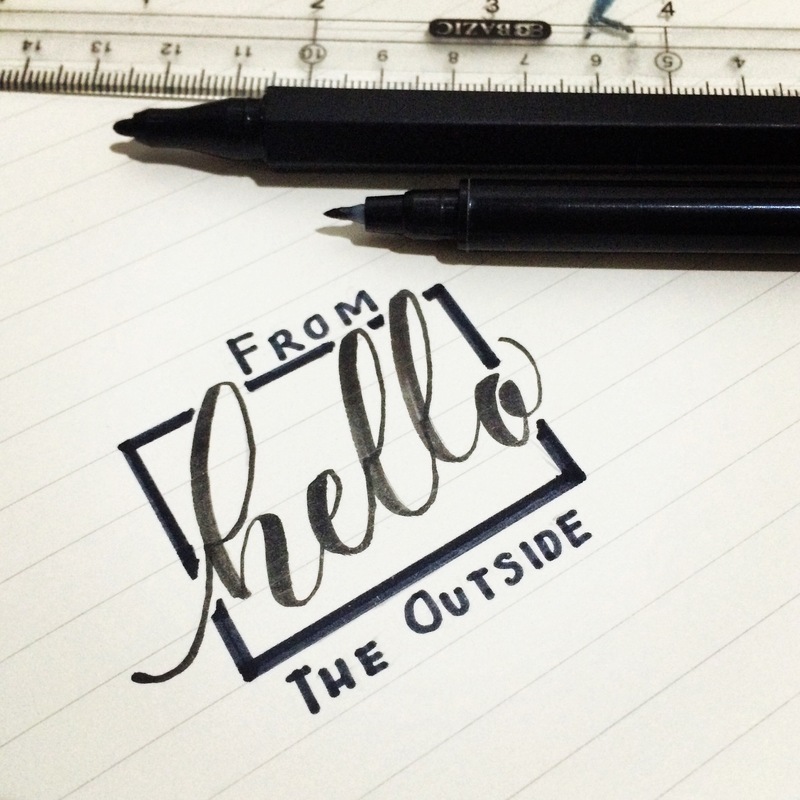 To see more of Lai’s work, be sure to check out her Instagram account @letteringbylai. I am Lai Legaspi, 25 years old, from the Pearl of the Orient, the Philippines. I am addicted to coffee, and I often really need to partner it with cheesecake. I used to be a marketing strategist; recently though, when I am not busy job hunting, I do lettering for work, OR listen to Christian Worship music, Adele, Bossa Nova or Jazz, OR fangirl over “The Walking Dead” and “Battlestar Galactica: Reimagined.” Aside from my own life, I am also responsible for my cat’s welfare – a one-year-old Persian Calico, Toffee. 2) We first saw your art on Instagram when you tagged us in your #SWAGGERstyle @letteringbylai post. How did you get into lettering and design? I remember being interested in lettering when I was 13 years old – I’d been drawing faux-Gothic calligraphy (for the lack of tools), and had wanted to get into an elective drafting class then because I was really more interested in drawing. However, that didn’t pan out. But, I was only able to truly pursue it beginning in June of this year – I learned through lettering and calligraphy books, and hours of YouTube videos. My background in marketing and advertising has helped a bit to keep me attuned with the practice of layout and typography. I was really driven to get into lettering because I wanted to keep my journaling exciting, but the last thing I expected was to start being asked for commissioned works, and that still leaves me in awe. It has been five months since I started, and I am still learning as I keep working on my craft. 3) We love how you combine vibrant letting, graphic details and handwriting in your posts. Do you map out the page before getting to work or just see where it takes you? I love details and variations! Sometimes, I feel like I go overboard, but I suppose that really has become my style. For most of my art journal entries, I go wherever my inspiration takes me, because the objective for me is to make the act of creating as spontaneous as possible, and to practice with my hands (muscle memory!) for my chosen tools – except for the pieces that I have imagined in my head which need more careful detailing, then I pencil them in first before doing any real coloring or outlining. 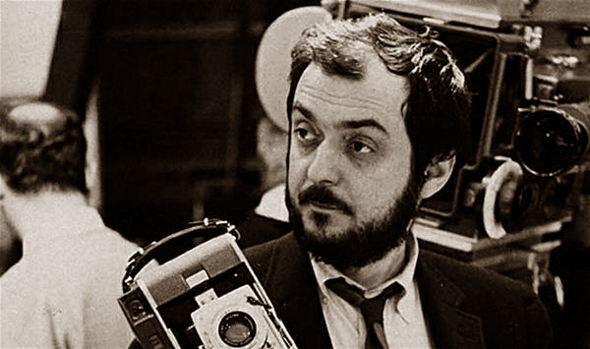 4) Has anyone, or anything, in particular inspired your creativity and artistic passion? There are so many artists who reignited and continue to inspire me in the art of lettering. However, there are three people whose works challenge me. From the Philippines, I am mesmerized by the works of artists Abbey Sy (@abbeysy) and Drew Europeo (@calligrafikas); on an international scale, who doesn’t know Seb Lester (@seblester) whose works go viral frequently? 5) Do you have a particular type of ink or pen you prefer to use? Whether it’s brush calligraphy or lettering, I find myself regularly using a Zig Kuretake Clean Color Real Brush, because of the brush quality – ink flow, variation of details that can be done – and the color vibrancy. There is lots of color selection, too, so that leaves plenty of room for variation and technique to use. Sometimes, I will divert to watercolor to challenge myself in controlling that particular medium. As for handwriting in my journal, I shuffle between Faber-Castell Pitt Pens and Zig Kuretake Cocoiro Extra Fine brush pens (or a Nikko G Pointed Nib if it’s a really special entry). 6) Do you have a particular subject matter or medium that you find especially inspiring? If anything – or anyone – really inspires me most, that would be God. I mostly create lettering of the Holy Scriptures and lyrics of Christian worship songs. That’s how I started in journaling, anyway. In whatever Scripture I letter, I am the first one to have drawn hope from His Word, and when I publish it, I hope that it will not just be visually appealing, but also a source of hope for other people because it is the Word of God. 7) Other than lettering, what are your passions in art or life? I am very passionate about keeping a record of events and things, so my journal and photography (through my mobile phone) take most of my effort and time. Also, I am very serious when I said I am addicted to coffee. I actively go out to seek coffee shops (new or old) or beans to try out and make notes on which ones I like best or least (now there’s an idea for an art journal!). 8) Why did you choose a Paperblanks® as your art journal? What initially caught my attention was the gorgeous bindings and covers of the journals. Those assured me that my recorded thoughts and works will be stored securely, and for a long time, too, in a beautiful journal. When I started using it, the paper really surprised me, because it was smooth enough to handle any type of pen or brush that I used on it, and was thick enough to hold my chosen ink or watercolor without corroding or distorting. First: Passion is temporary without a purpose. Whatever you are passionate about, give it a purpose bigger than yourself that will sustain you, especially on days when you feel that your passion is dwindling or lacking. In this generation where nearly everything can seemingly be attained instantaneously – food, money, promotion, fame – the value of hard work continuously diminishes. This, however, does not apply to art, regardless of the medium. Keep on learning and mastering your craft, both requiring working hard and working smart. Totally loved this post. Thanks Paperblanks for asking Lai those questions. I have been admiring her style for a while now! Emma thank you so much for always being so supportive!!! <3 You're an awesome friend! Yaaay, thank you for taking the time to read and view my works, Jeena! I hope to see you soon! Woohoo! Thank you Paperblanks for featuring Lai’s work. Come on, ate Joyce, let’s do Calligraphy and lettering! Thank you so much! Purpose is what keeps us going!!! Fabulous spotlight of a very talented lady! We’re so glad to see how inspired everyone has been by Lai’s work! We knew we found someone special, or rather that someone special found us! It was our pleasure to speak with you, Lai! Thanks so much for sharing your art and passion here.